Like many high-end luxury vehicles, BMW packed the X7 full of all sorts of cool and interesting features. Not all of them are unique to X7, but if you’re in the market for a three-row luxury SUV, they definitely make the X7 a more appealing option. 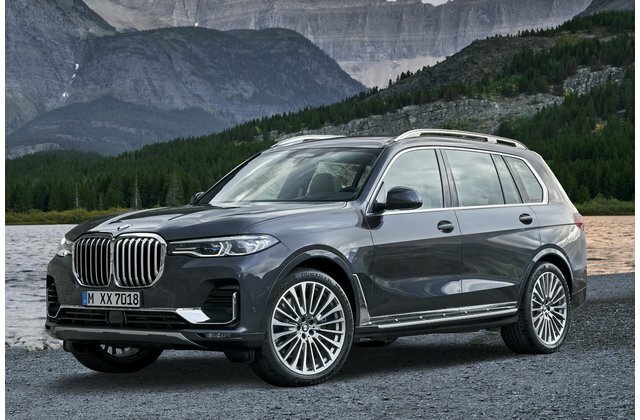 Read on to see what stood out to us on the X7’s features list, and don’t miss our review of BMW’s first full-size crossover right here. BMW has come a long way since it begrudgingly added the world’s saddest excuse for cupholders to its American cars. The X7 has real cupholders up front, and even better, they’re heated and cooled—the lukewarm bottle of water we pulled from the door pocket was noticeably colder when we opened it about 20 minutes later. A decade ago, it was rare to see a car with a head-up display, but they’ve become more common over the last several years. The problem is, they don’t always display enough information to be useful. The optional HUD on the X7, however, is large enough that it can show more than just the speed limit. It also shows a clear map with navigation instructions that almost make looking at the infotainment screen unnecessary. The X7 may be big and heavy, but since it’s a BMW, it must be at least a little sporty. So it shouldn’t be a surprise that the X7 xDrive50i can be fitted with an optional electronically controlled M sport rear differential. But because it’s an SUV, BMW also added a locking function just in case you ever find yourself off-roading in an X7. BMW knows few owners will use it, but you could if you wanted to. You can get a pretty cool touchscreen key fob for the X7 that’s borrowed from the 7 Series (pictured here), but BMW has also borrowed a page from Tesla’s book and programmed in a digital key option. If you have an NFC-capable Samsung Galaxy, the BMW Connected app gives you the option of leaving the fob at home and just using your phone as a key. If you add the Driving Assistant Professional package to the X7, it comes with something called an Emergency Stop Assistant. If the driver ever has a medical emergency or becomes incapacitated, the driver or a passenger can pull the handbrake button to activate the ESA. When that happens, the vehicle will activate the hazard lights, use its driver-assistance systems to bring the car to a stop either in its lane or on the shoulder, and place a call to the BMW Assist Response Center so emergency services can be sent.